If you're building a hot rod or a classic pickup, then you need big rear tires to finish off the look. 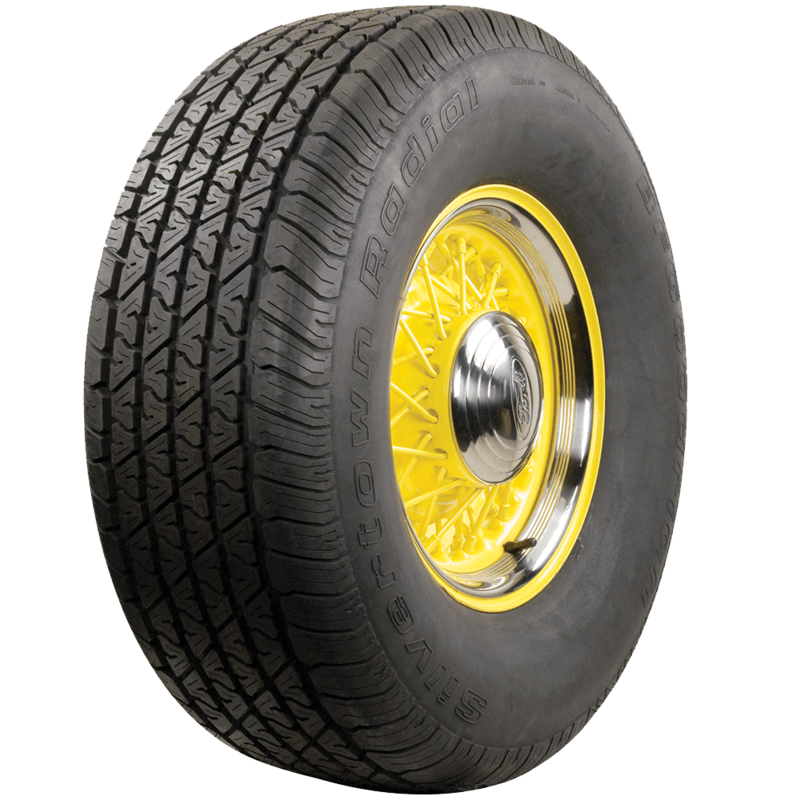 Coker Tire Company offers these BF Goodrich Silvertown Radials in blackwall form. Sizes include the massive 285/70R15. 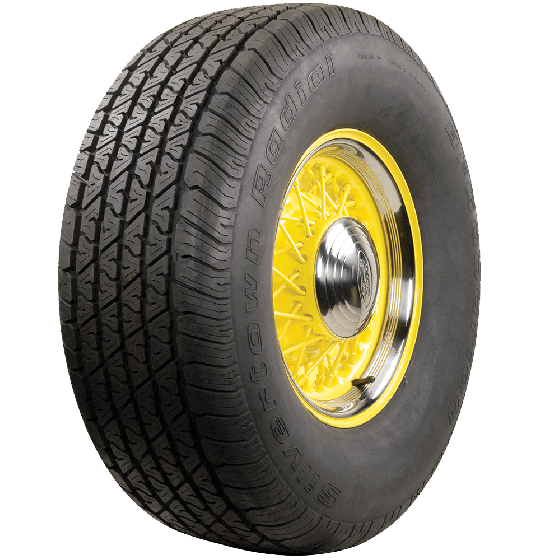 Coming in at just over 30 inches in diameter, these tires stand tall and fit a variety of applications, including hot rods, rat rods, classic trucks and more. These blackwall BF Goodrich Radial tires are made in the USA and they are DOT and ECE approved. 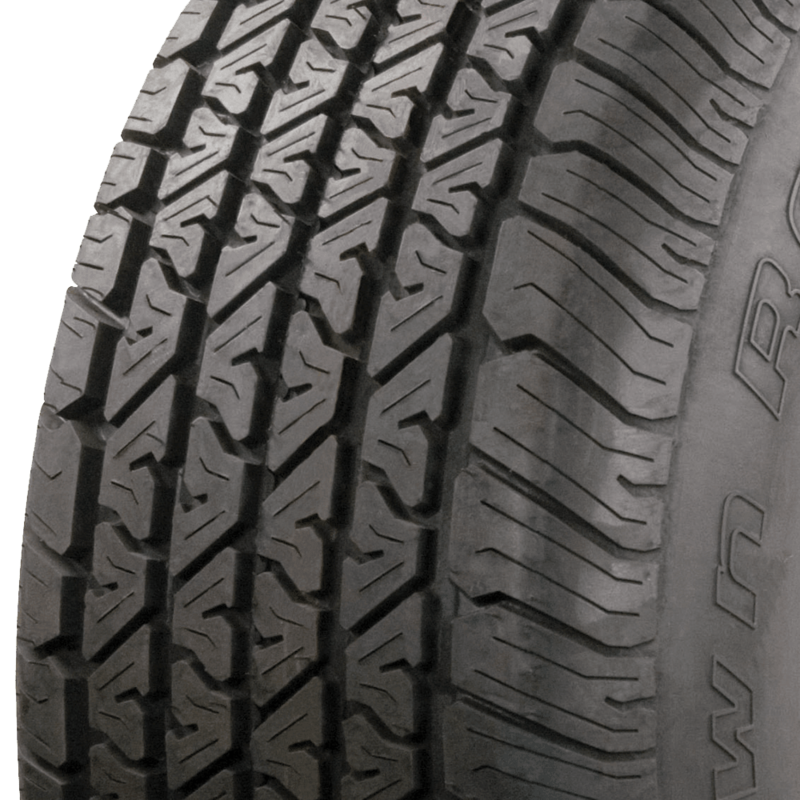 The tread pattern is the classic BFG V-bloc design, made famous by the Radial T/A, and the smooth sidewalls offer a clean appearance for your custom creation. BF Goodrich 285/70R15 tires are covered by Coker Tire Company's Life of the Tread Warranty, and you can always take it a step further with Extended Tire Protection. Please note that dimensions listed (tread width, section width and overall diameter) are non-scientific and based on an inflated tire, mounted on a wheel. Dimensions may vary due to rim width and inflation pressure. Pricing is shown when you select any individual, unique size along with dimensional measurements and load capacity where applicable under "Specifications". Is there a tread wear rating on the BFG Silvertown Radial Blackwall in 285/70R15? Yes, the 285/70R15 has a UTQG rating of 540BB where treadwear is 540, traction "B" and temperature "B". Do you make the BF Goodrich silvertown in a black wall in a 195 60 15 ? Plain blackwall is not offered in that size. Generally, if a blackwall is desired, one simply purchases the T/A with raised white letters and has the tires mounted with the white letters turned inward.